Ground source energy is a cost effective and low carbon solution for managing the energy requirement of any building, delivering both heating and cooling needs. Ground Source Consult Limited provide the experience and knowledge required to design and manage the installation of commercial and large scale domestic ground source energy systems. Ground Source Consult understands that project managers and property developers require accurate information in order to assess the feasibility and economic benefit of development of a ground source energy system. 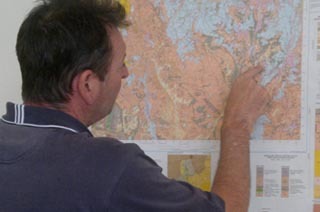 We carry out thorough investigations into the geology, hydrogeology and water quality of a site. 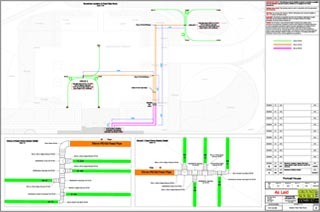 GSC determine the strata and aquifer parameters and propose the most appropriate solutions for design and installation of a the ground source energy system. The results will also provide an informed assessment of the scope of the project and thus the possible costs involved in delivering the requirements of the building. 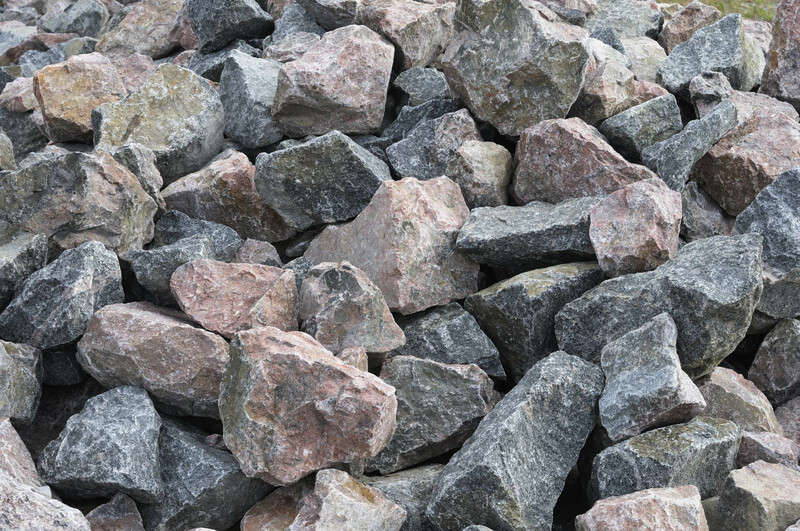 In addition to project feasibility studies, GSC also provide detailed investigations and analysis that includes understanding of the rock and soil constituents and physical conditions into which the boreholes will be drilled. It is also imperative in certain circumstances to assess the water resources and potential impacts on the environment to make absolutely sure the proposed project complies with all Environment Agency (EA) and Coal Authority (CA) requirements. 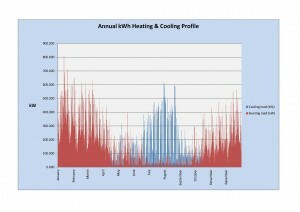 This report is essential in the design of any ground source energy system. Thermal Response Testing (otherwise known as Thermal Conductivity Testing) is one of the critical services provided by Ground Source Consult. Through this process we can gather information regarding the thermogeology of a site and thus assess how best to deliver the required energy and carbon saving targets of the building. The key to optimising the size of the Ground Source Energy System (GSES) is the energy flow and balance, i.e. 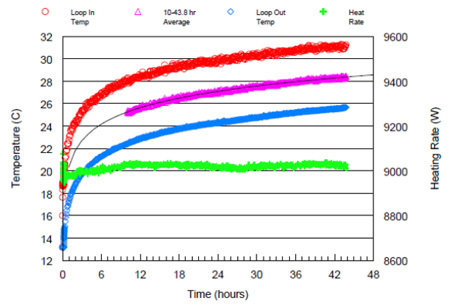 how much heat is extracted or rejected but just as crucially, when it is rejected or extracted. In order to manage the energy flow it is vital that the facility energy demands are fully understood in detail. Carrying out detailed energy load analysis can lead to a smaller ground source energy system and therefore better energy tariffs. 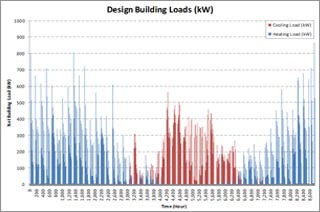 GSC provide energy load calculations from domestic to large commercial and district energy systems. We work with the building team to optimise the energy loads for GSES including alterations to the buildings to balance building energy requirements. Closed Loop uses a system of high quality polyethylene pipes which circulate thermal transfer fluid through the ground or through a body of surface water, absorbing heat (heating) or rejecting heat (cooling). 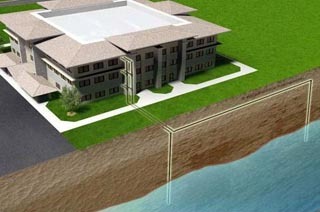 The closed loop design is determined by the geology of the ground and the energy demands of the building. Ground Source Consult develop thermal models of the geological conditions and assess maximum and minimum loop requirements. 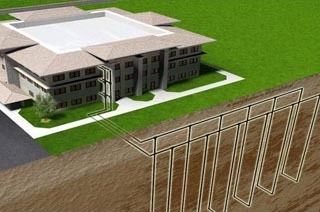 The benefits of a ground source energy system will only be realised if the installation is compliant with the design. Ground Source Consult offers a supervisory service to ensure that the installation of the system is compliant in every way with their design. In order to optimise performance and to ensure all warranties are protected, GSC offer full healthcheck services alongside ongoing maintenance support. In addition, building requirements may change and systems may need to be modified or adjusted. 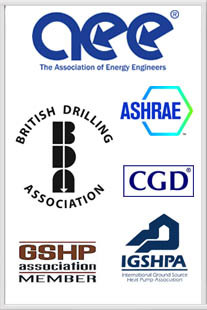 The Ground Source Consult team have many years’ experience reviewing and assessing existing systems and where possible rectifying errors and improving efficiencies.